Singapore is a great city that cares for its handicapped citizens and visitors. The toilets in 90% of shopping malls have the "handicapped toilets" with the wheelchair sign on its doors. We are not advertising these places and receive no commission/fees whatsoever, and our opinions are purely based on our own personal experiences while we were taking care of our beloved family member who was bound (temporarily) on a wheelchair. This is purely for informational purpose only. Fish pond, relaxing walk by the pond. Great to see many happy people enjoying the sand, the sea and the cool breeze(after 5pm). It is important that your loved one on the wheelchair gets to go out and enjoy the air. Psychologically, it is refreshing to see new sights and sounds. Especially so if your loved one has been staying at home/hotel/hospital for long period of time. But do so only if he/she is permitted by the doctor. 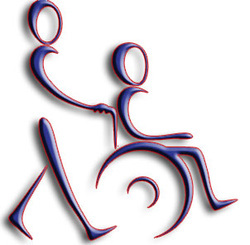 We know that sometimes there is a social or perceived stigma to wheelchairs. Feelings of helplessness, despair, unworthiness, denial, shame are typical for the loved one who recently had to "submit" to the wheelchair. This is typical. It has to be addressed with the heart. Words can be delivered through the mouth from the mind, but they are rendered useless when the hearts are not connected. Just like a glass is half-empty or half-full, a wheelchair could be viewed as an equipment that strengthens the emotional bonds between the attendant and the one sitting on the wheelchair. Trust, care and love are expressed by the attendant pushing the wheelchair. Instantly. Do show how much you care for your loved one. But never sympathize or pity them. Be gentle, yet firm. We dedicate this page on our website to help our customers. After all, we went through the same situation ourselves. For a more complete list on all the Wheelchair friendly places, download the file below. This list is compiled by the Singapore Tourism Board and we bear no responsibility for its accuracy or correctness.